‘Boy Erased’: Everyone Wants to See It, So Where Is Its Festival Debut? These days, when booking a fall festival, there's little room for error. “Boy Erased,” which stars Lucas Hedges as an outed gay teen forced by his religious parents (Nicole Kidman and Russell Crowe) to undergo conversion therapy, has been on the Oscar radar ever since Focus Features showed footage of at CinemaCon. So where is it? Slated for release November 2, it remains one of the few anticipated awards contenders to not yet land a key festival berth. Word is director-star Joel Edgerton finished the movie and showed it to festivals at the last minute. We may see it at Telluride (which doesn’t announce its lineup ahead of time), which means it wouldn’t play the opening weekend of the Toronto Film Festival. If TIFF announces a World Premiere of “Boy Erased” in the next few days, it will have that coveted first-weekend slot. That’s the rule: TIFF saves key opening slots for the World Premieres. 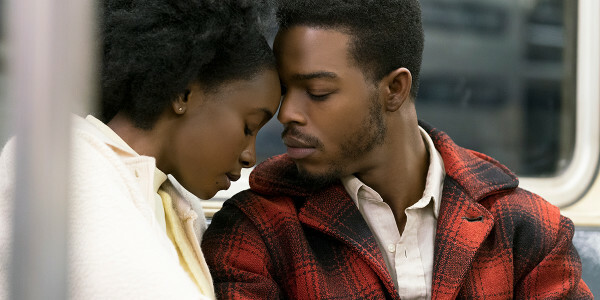 That’s one reason industry insiders were surprised to see Barry Jenkins’ adaptation of James Baldwin’s “If Beale Street Could Talk” (Annapurna) as a TIFF World Premiere. Jenkins has been a host and Q&A moderator at Telluride for over a decade. So why not show it there first? Annapurna is playing it safe. Marketers figure there’s a difference between going into Telluride with “Moonlight” as a discovery film that needed additional cred, and debuting “If Beale Street Could Talk” as the follow-up to an Oscar-winner. With all the Oscar pundits assembled at Telluride, finally, many consider Toronto to be the cuddlier venue.